Since I moved in a new house I got to know bats. Could be due to the fact the house was inhabitated for some time. 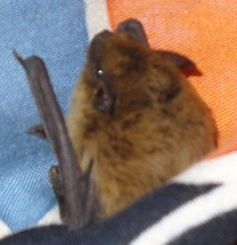 Thing is, every now and then a bat or two come out from who-knows-where and start flying around the sitting room. First time we met it was at late night. Diana woke me up scared. “What’s that thing flying around? !” It took a lot of time and cold before we succeeded at sending it out the window. I was surprised how few intentions he had to get out. Wintertime. Very cold. We surely didn’t keep the windows open during the day. Where did that bat come from ? 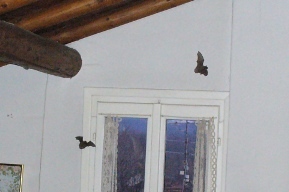 We left the house for christmas/new-year and when we came back two bats were flying in the sitting room. This time we’ve been nicer. Also the kid was happy to see them (she’s always wanted pets). 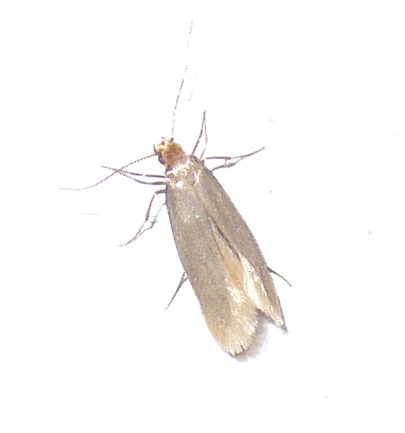 This time, they also sometime stopped flying and took some rest against a wall. Finally they disappeared (again after damn cold entering the house). Then it happened again after leaving the house for jusr a few hours. This time I didn’t handle to let the bat out, but he disappeared anyway. God knows where. We tried to find him looking in every place of the house with no luck. “Well, we’ll see tomorrow”. Gone sleeping. The day after, while I was alone in the house, silently tapping on the computer keyboard, light wings noise I’ve heard, then not much later the bat showed up again flying in circle. This time I took the chance to take some pictures. 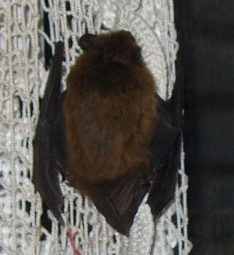 The bat didn’t fly away when I tried to pick him with my hands (and a blanket) after it took a rest on the window curtain. So I took the chance to take more pictures, then took him out the window and he flied from my hand. I start to suspect there’s actually a colony in the house which we’ll need to learn co-habit with. Hopefully animal experts will have some advice for me. Anyone ?